I hope you haven’t missed the Elegantly Vegan is a digital cookbook as well. The vegan cookbook was created with dedication bring attention to vegan food and demystify as well as show vegan food from another perspective. Either you are a vegan or not, I want to help you to get started – or just to try, if you are curious. The book is packed with yummy recipes for simple everyday food that are a cinch to make, with a few tips and tricks thrown in between from a seasoned vegan perspective. So if you like what you see in the blog, then you are really, really gonna love my cookbook. It’s $2.99/£1.99 in AppStore and available worldwide. 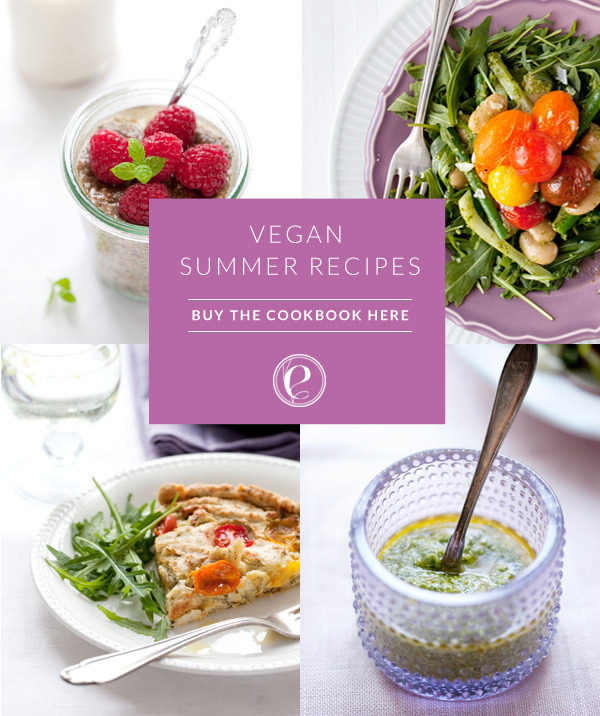 You can pick up your copy of the Elegantly Vegan cookbook from App Store here. The cookbook really has loads of cool features since its in digital format, which you can read more about over here. One of the cool things are that I invite YOU to add you own twist to a recipe by adding a note to the recipe which everybody else who has the book will be able to see. Get the recipe for my go to home made sweetener – date syrup – a perfect alternative instead of honey or sugar – to enhance your baking, use for dessert or even breakfast. A huge thank you to everyone who has purchased my cookbook so far, it means the world to me to have your support and that you support a cruelty free option and my dreams. There is a free preview version available in App Store – called Elegantly Vegan Light – however this is only created to enable you to browse the images and look at the photographs, just like in an ordinary book, in the bookstore, before you decide to but the cookbook. It’s not a free version of the complete cookbook, and it’s sole purpose is for you be able to get a feel for the book so that you know if it’s something you want to buy. Some people who has downloaded Elegantly Vegan Light has really misunderstood the whole concept of the Light/free version. I really want to stress that this version is only for browsing purposes because I think you ought to view more then just a few screen grabs before you decide to invest your well earned money in buying the book or not.